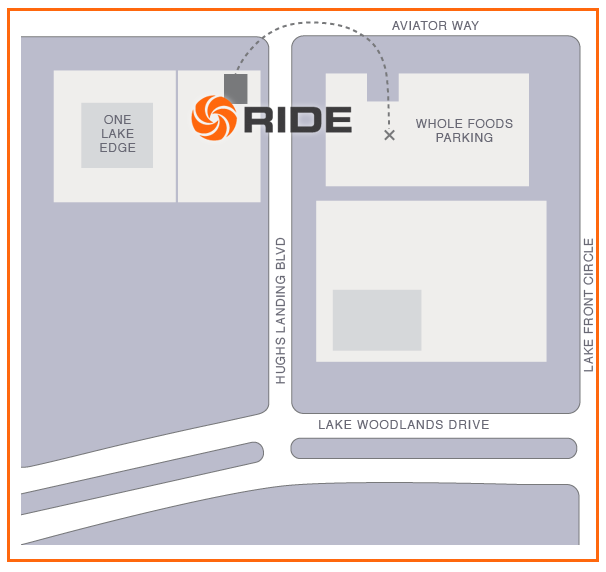 RIDE Indoor Cycling is located at 1950 Hughes Landing Blvd. #1500, directly across from Restaurant Row. FREE Parking is provided in the Whole Foods parking deck across the street.